I dont usually blog mini sessions, but this one was just TOO cute to not include! 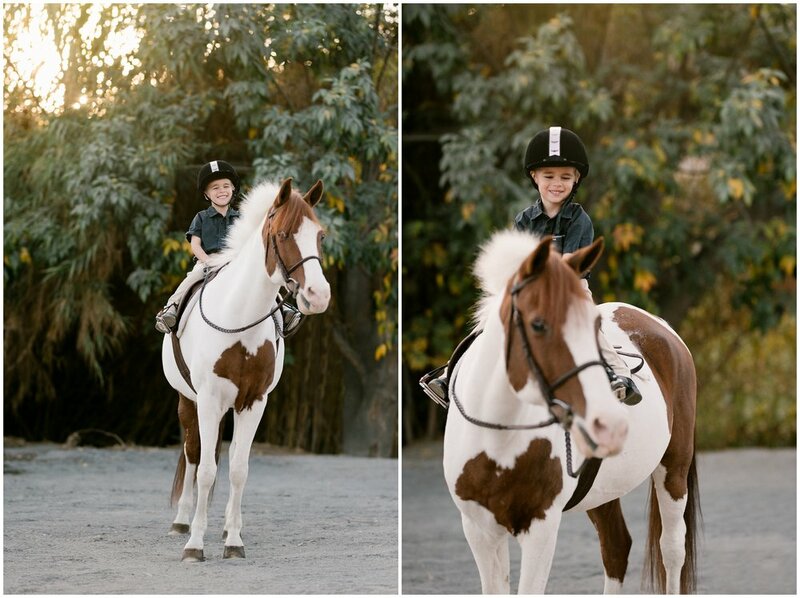 Rowan was just a little model superstar with his adorable pony Trey. His cowboy outfit was too cute, and I was told he bought those boots himself! It was a super easy and fun session at the barn I actually ride at: Sycamore Trails Stables in San Juan Capistrano. There aren't a lot of usable areas because most of it is open, but this one spot on the property is my absolute favorite to work with. Gives you the lovely sunset glow with the bright colors of the tree and bushes that line the creekside.